Aiueo is located near Fureai Hirugi Park and the Gesashi River. 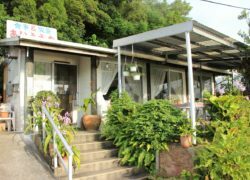 Owned by a hobby fisherman, this eatery features Okinawan home cooking such as champuru (¥600) at reasonable prices. 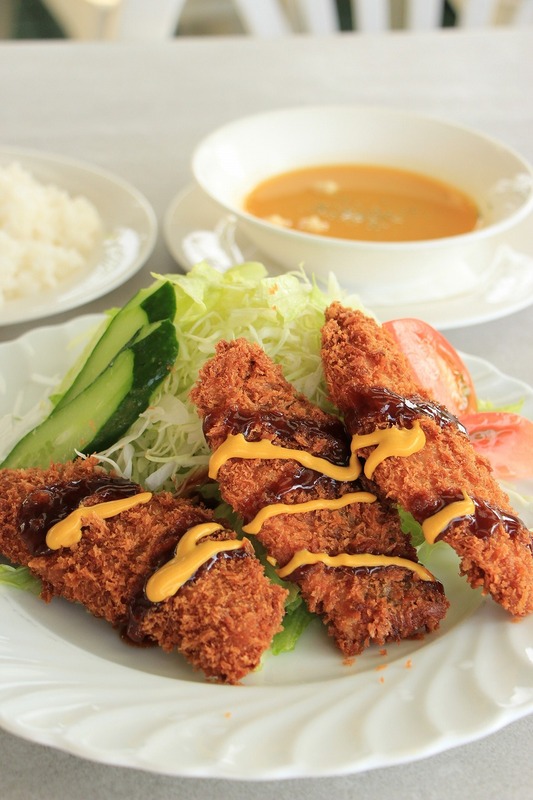 If customers are lucky they can enjoy freshly prepared fish soup (¥850), served when the owner has had a good day fishing. Pet-friendly terrace seating is available.